Kevin Labanc's (@Str8ToTheBanc) incredible point streak ends at 25. 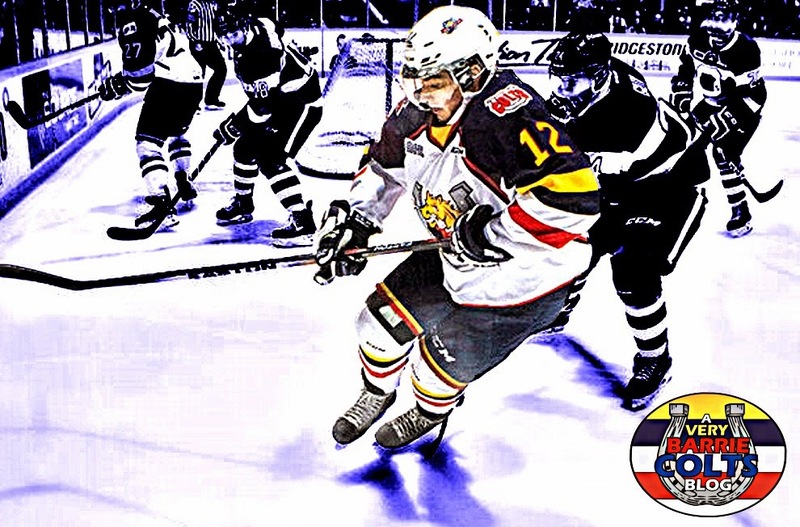 @OHLBarrieColts @SanJoseSharks #OHL - Very Barrie Colts | A website covering the Barrie Colts of the OHL. Last night the Barrie Colts defeated North Bay in an incredibly important game. The overtime win extended the Colts lead over North Bay for 1st in the Central Division by 4 points. That is helpful since Barrie has played 2 more games. With the win it extended the Colts current win streak to 2 games and improved their record in the last ten games to 9-1-0-0. The team truly has put together an impressive winning streak but sadly, Kevin Labanc's point streak came to an end. His incredible 25 game point streak has been something to watch! 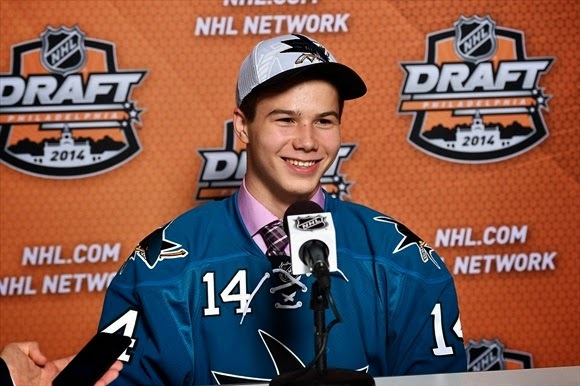 The San Jose Sharks draft pick really has stepped up his game this season and is putting up incredible points right now. His streak started November 1st against Guelph in a 2 point night for the star forward. November was a great month for Labanc. In 10 games he totaled 8 goals, 8 assists for a total of 16 points. By the time November came with a 10 game point streak under his belt, Labanc had an even better month of December. In an attempt to be more generous than Santa Claus himself, Labanc totaled 25 points in 11 games. 5 Goals and 20 assists. 7 of his 11 games he had multi point nights including a 5 point night in Peterborough early in the month and a 4 point night at the end of the month hosting the Bulls. December also saw him record 3 power play points, a short handed goal and 2 game winning goals. In the last 4 games of his point streak here in January he scored another 11 points(2 goals,9 assists). On the season, Labanc has consistently put up great numbers. In 40 games he has 18 goals and 51 assists for a total of 69 points. Right now he is on pace to score 103 points. He is in 2nd for points on the team trailing team captain Joseph Blandisi, 5th in the league for points and leads the OHL in assists with 51. We would like to congratulate Labanc on this incredible streak! What are your thoughts on Labanc's play this season? Let us know in the comments, on our Twitter or on our Facebook page!